WOW! GiLoCatur is amazed at the performance of Azarya Jodi Setyaki, an Indonesia junior chess player in the WYCC 2013 held in Al Ain, UAE. Playing in Under 16 Open section and going to the final 11th round, 15-year-old Azarya has scored 7.5/10 points. He had 5 wins, 3 draws and 1 defeat. In the pairings of the final round, Azarya is the lowest rated player among the top 5 boards. 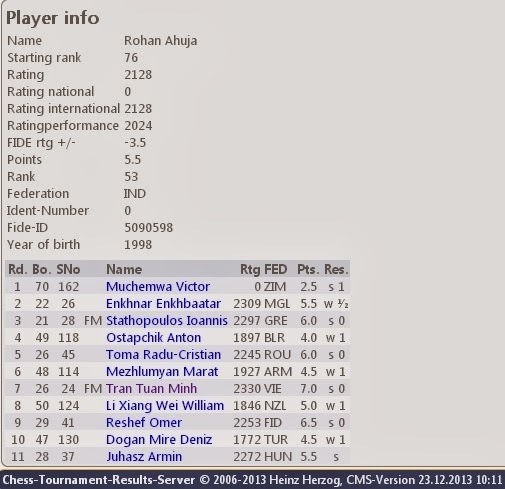 Having Elo ratings of 2112, he played at 2400-strength according to chess-results.com. What GiLoCatur likes about Azarya is his coolness. Could Azarya win his final round game against the top seed player from Poland and be among the winners? 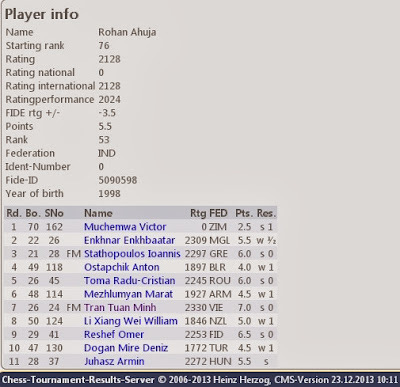 GiLoCatur also noticed that an Indian player named Rohan Ahuja is also playing in the WYCC and in the same category as Azarya.Like Azarya, Rohan also took part in AAG 2012. Four players on the top two boards have the great chance to win WYCC 2013 U16 Open age group. All of them have 8/10 points. Have You Surfed "Catur Indonesia" Blog? While surfing the internet especially looking for chess-related news and info, GiLoCatur incidently went to an Indonesian chess blog. Among the recent blog entries are about the success of the Indonesian chess team in the recently concluded 27th SEA Games held in Myanmar. The Indonesian chess team managed to win 5 Gold, 4 Silver and 7 Bronze medals, totaling to 16 medals. With these number of medals won, lots of updates and photos can be found in the blog. GiLoCatur is very jealous the same scenario is not happening to the Malaysian chess community. GiLoCatur wonders when Malaysia is going to enjoy this kind of moment in chess. The statement from the head of PERCASI really impresses GiLoCatur. He said that the best performance should be achieved based on will, survival (fighting) and passion for chess and Red-White, referring to the Indonesian flag. “Kami tidak akan mengiming-imingi atlet catur junior berprestasi dengan bonus materi atau uang, tetapi akan memperhatikan kelanjutan prestasi mereka dengan membiayainya ke turnamen-turnamen catur Internasional yang levelnya lebih tinggi! Prestasi terbaik harus dicapai berdasarkan kemauan, perjuangan, dan kecintaan terhadap olahraga Catur dan Merah-Putih, bukan karena “disogok” bonus uang atau diiming-imingi hadiah!" Another interesting update in the Indonesian chess blog is about their young chess players who take part in the World Youth Chess Championship or its acronym WYCC held in UAE. 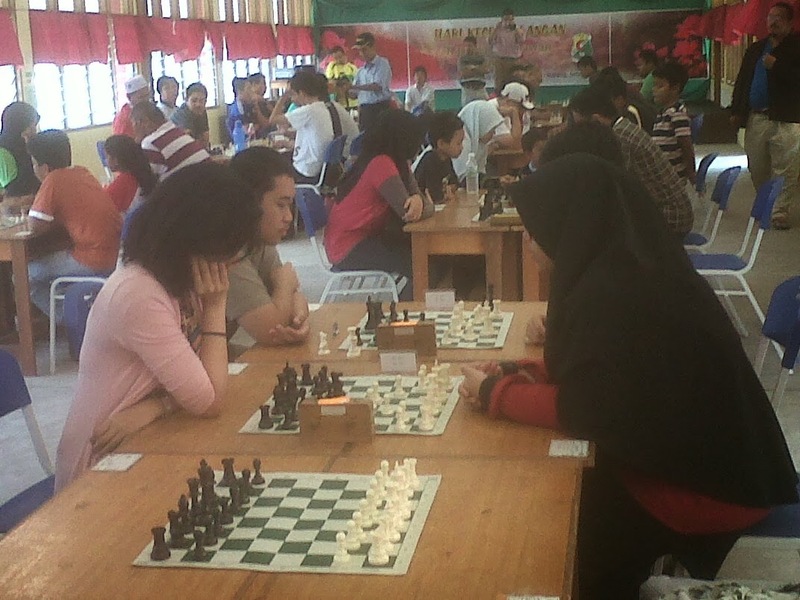 Indonesia is sending ten junior chess players - five boys and five girls to the chess tournament. Only one of them is self-sponsored where the rest is either sponsored by PERCASI, Indonesian chess association, or RIAU chess association. 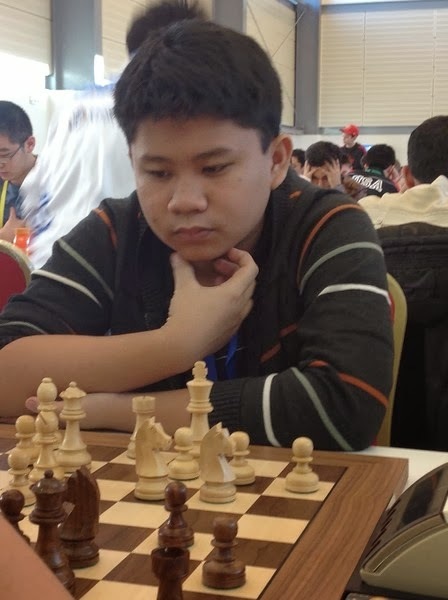 GiLoCatur is quite familiar with two of the Indonesian chess junior players. Both are WFM Aay Aisyah Anisa and CM Azarya Jodi Setyaki. When GiLoCatur started to know these two Indonesian chess players? The answer is AAG 2012. For those who do not know what AAG stands for, it means Asean Age Group chess tournament. All the three GiLoCatur's children took part in the AAG 2012 which was held in Hue City, Vietnam. 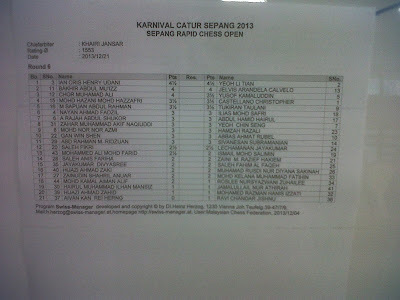 Both Aisyah and Azarya played in the U14 category, their respective girls and boys section. As GiLoCatur remembers, it is in this chess tournament that both of them got their respective title. 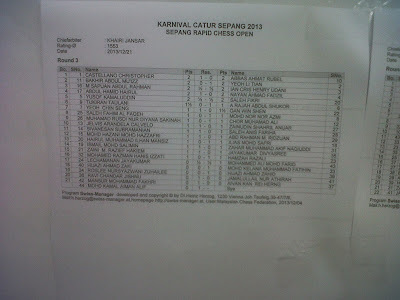 Unrated, Aisyah was ranked 10th in the standard event. After two straight wins in the first two rounds, she was in the top board in the third round. She stayed on the top board until the final round. She won six consecutive rounds. 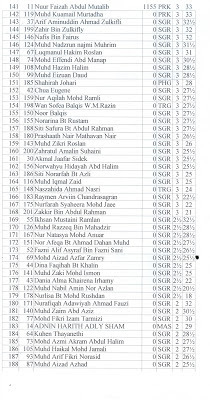 After the final round, Aisyah emerged as the champion scoring impressive 8/9 points. She could not continue her superb performance in next both rapid and blitz events. Our WFM Nur Najiha was the obstacle where Aisyah lost in both events in the second round. 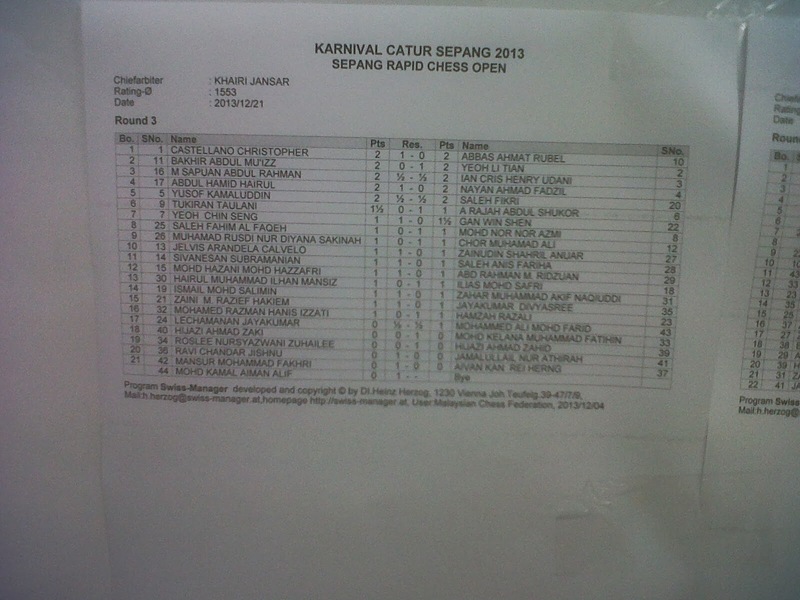 (Note: In the standard event, Najiha played in the G20 (Girls Under 20) event.) GiLoCatur managed to have a short chit chat with Aisyah before one of the rounds start. While Azarya got GiLoCatur's attention when he was among the top boards in the Boys U14 event beside FM Paulo Bersamina of Philipines, Tran Minh Thang of Vietnam and Rohan Ahuja of India. 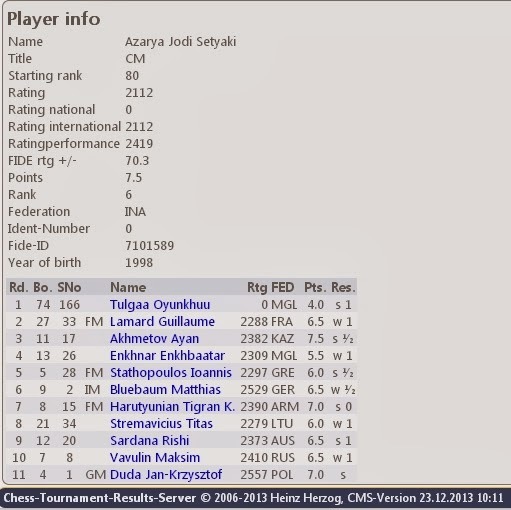 After the final round, Azarya scored 6.5/9 points and was third in the final ranking. He had the same score with an unrated Vietnamese player and thus was the silver medal winners and both were awarded the CM title. In the rapid event, Azarya came strong and emerged top. He tied with 6/7 points with Paulo Bersamina. He was fifth place in the nine-round blitz event. How is the performance of the Indonesia junior chess players in the WYCC? Click here to find out. 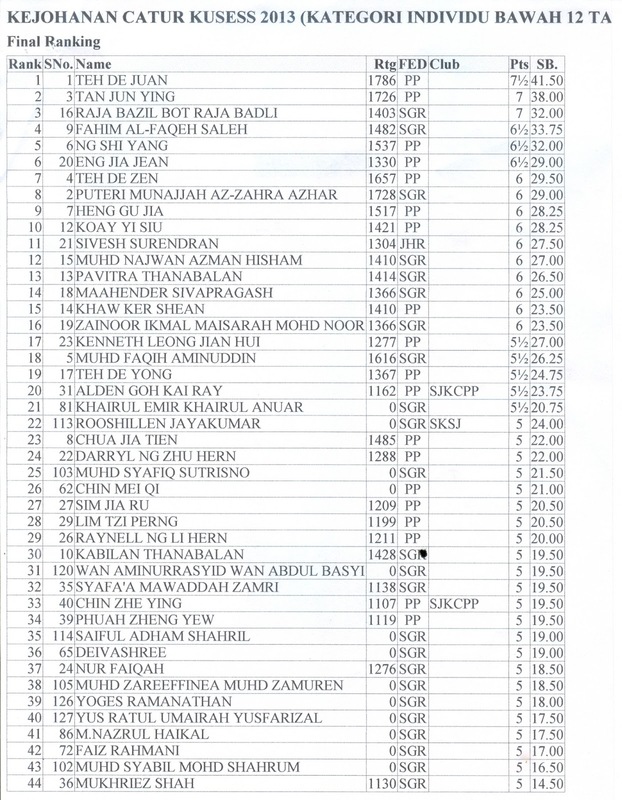 And here to know the results of the Malaysian junior chess players. As per in below Round 6 pairings, Li Tian and Ian Udani fought on the top board to decide the champion of the tournament. As GiLoCatur remembers it, the game ended in a draw. So, both scored 5/6 points. Li Tian emerged on the top due to better tie break. Congratulation to all the winners. Syabas & tahniah to the organizing crew. Photo of the winners can be found in GiLoCatur's Fan Club facebook. 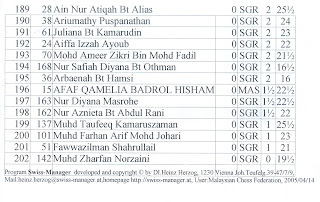 Below is the pairings of the fifth round of the Sepang Rapid Chess Open being held at Sekolah Agama Desa Putra, Kg Sungai Merab Dalam, Selangor. On the top table, two pinoys are playing against each other. 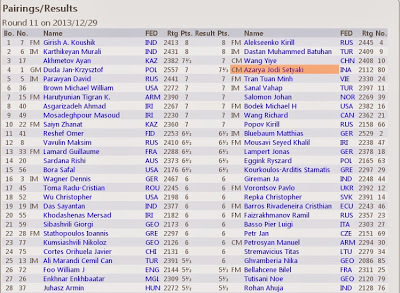 Castellano drew with Li Tian in previous round while Ian Udani beat Hairulov. Kamaluddin aka Abg Bro defeated his younger opponent, Fadzil Nayan. 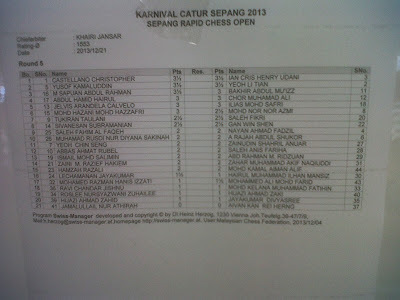 GiLoCatur and family is currently at the venue of the Sepang Rapid Open chess championship. The fourth round is currently on-going. After Round 3, three players are leading with three full points. They are Castellano Christopher of Phillipines, Li Tian and Hairul Abdul Hamid, a Malaysian chess blogger. Both Li Tian and Castellano are playing on the top board while Hairul is challenged by Ian Udani on second board. 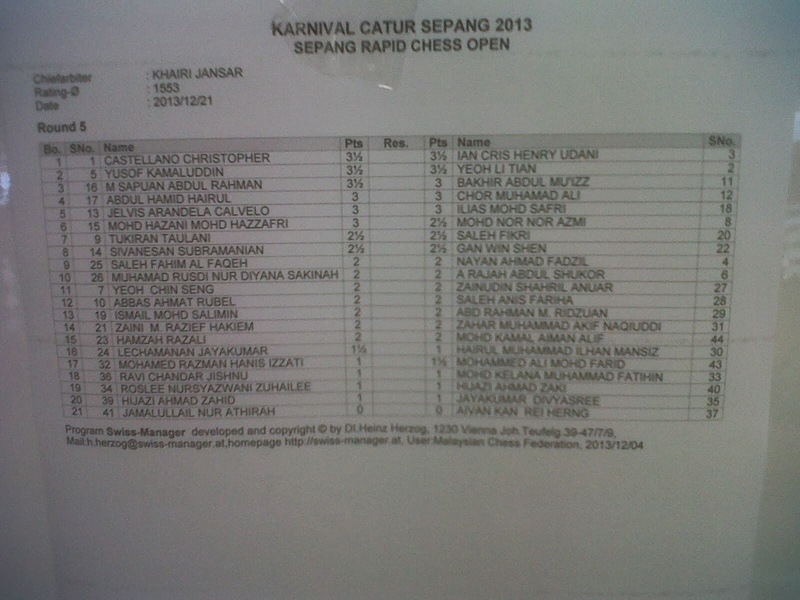 All GiLoCatur's children are among 40+ participants. Fikri who just completed his SPM examination last month is playing his second tournament after after taking a break for several months. He continues his good momentum after winning the Under 18 category two weeks ago collecting 2 and 1/2 points. He is playing white on the third board. 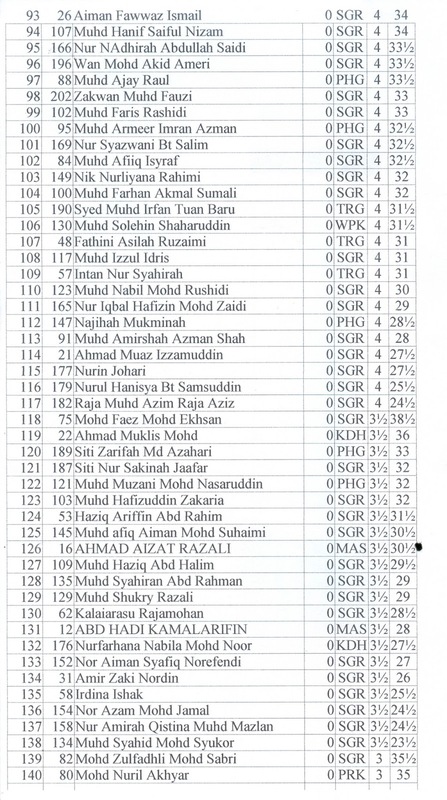 Nationally-Rated at 1624, Fikri is the 20th seed. 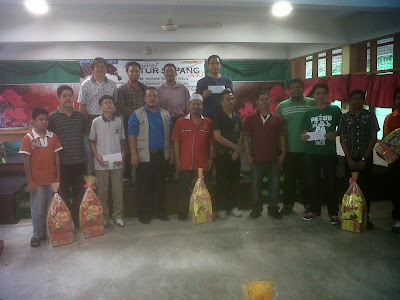 Finally, the new champion emerges at the UPSI Chess Open. GiLoCatur gets the news from the facebook. So, it is still unofficial. Both IM Mas and Ian Udani who were earlier edition champions can not stop the new champion. Do you know who is the new champion? It is known among the local netizens as Nf6. 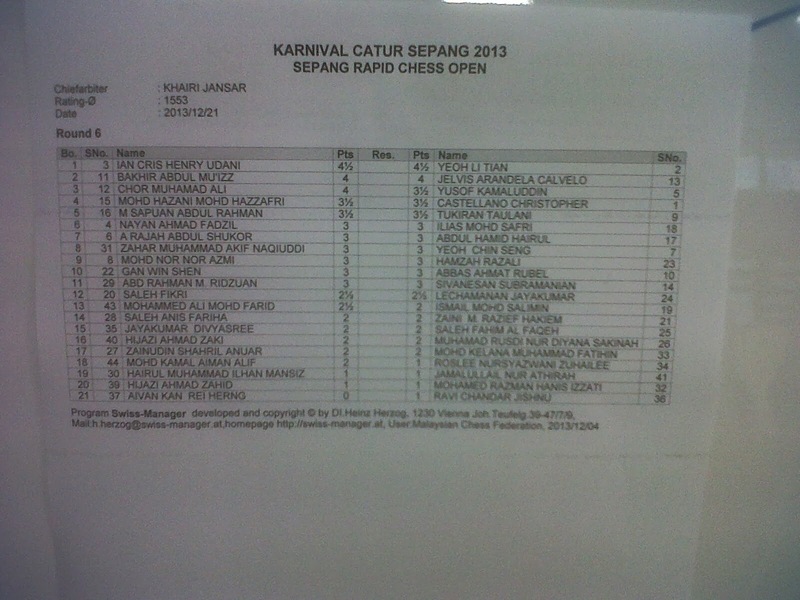 His full name is Mohd Saprin Sabri. Congratulation to him! 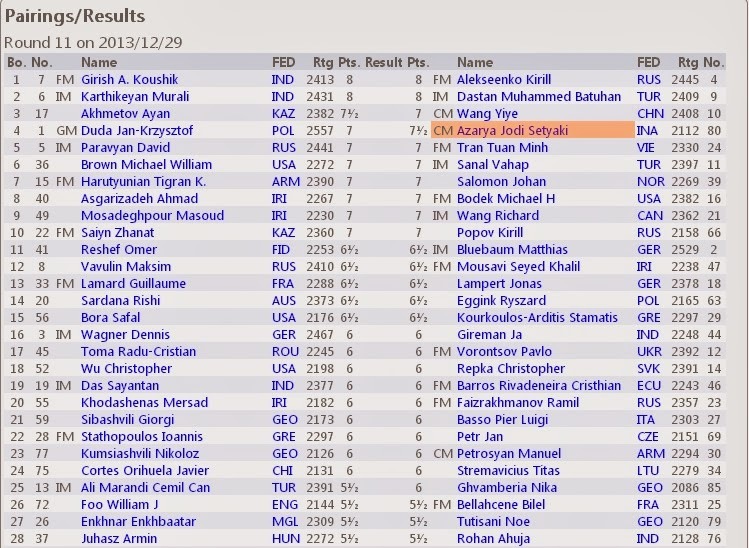 Thanks to Kaber for uploading the pairing and results of the UPSI chess open at www.chess-results.com. GiLoCatur could follow the tournament. Actually, at the time of this blog entry, GiLoCatur and wife are at SM Sains Alam Shah, Cheras visiting GiLoCatur's eldest son, Fikri, who in less than two weeks will sit for SPM examination. Why only GiLoCatur and wife, eh? Where is Fahim? In fact, Fahim is having a scout camping in Shah Alam. His camping will end tomorrow. 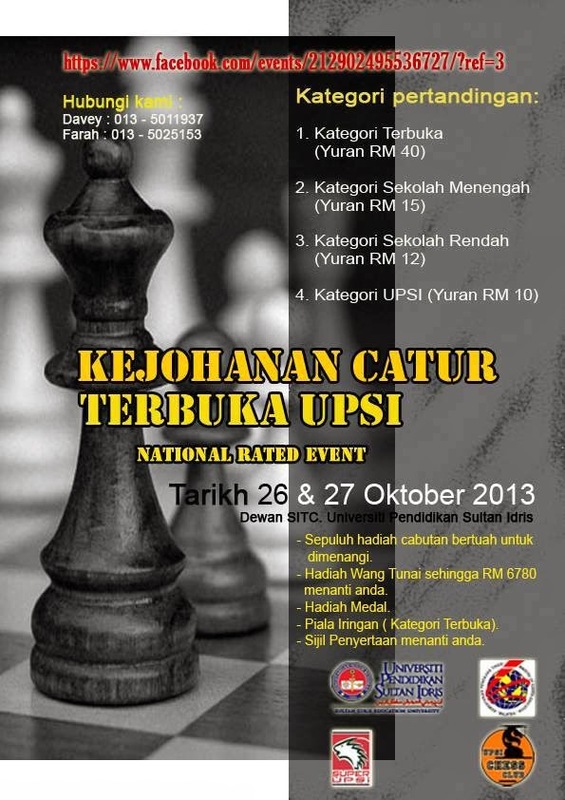 Back to the UPSI chess open, GiLoCatur believes the fourth round is on going. Three rounds had completed. There are three categories in which the participants take part. In the age-group categories, the top six players live up to their ranking where they are paired against each other on the top three boards. Click below links to find out the results of the first three rounds. In the Open category, Ian Udani attempts to making another history to once again become the champion. He is ranked second. 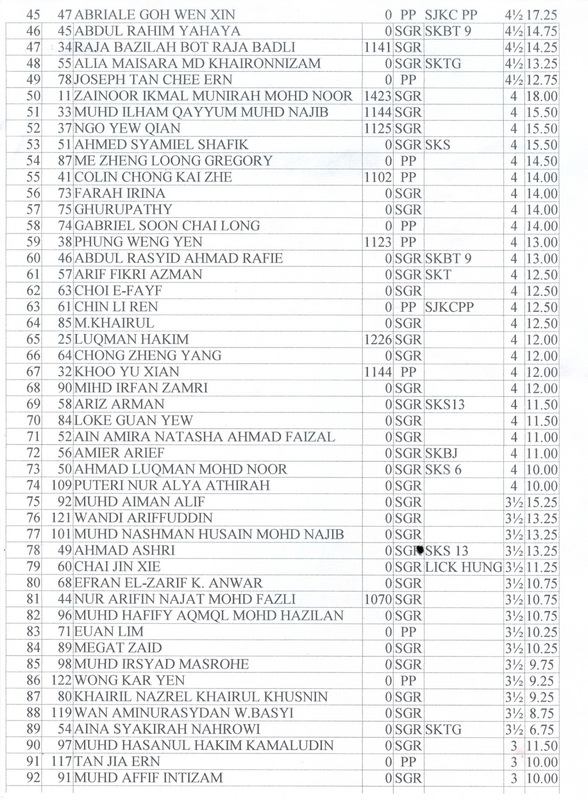 The best bet to stop Ian is IM Mas who is the top seed in this year edition. For sure, IM Mas also wants to put his name in the record to score another victory as the champion. 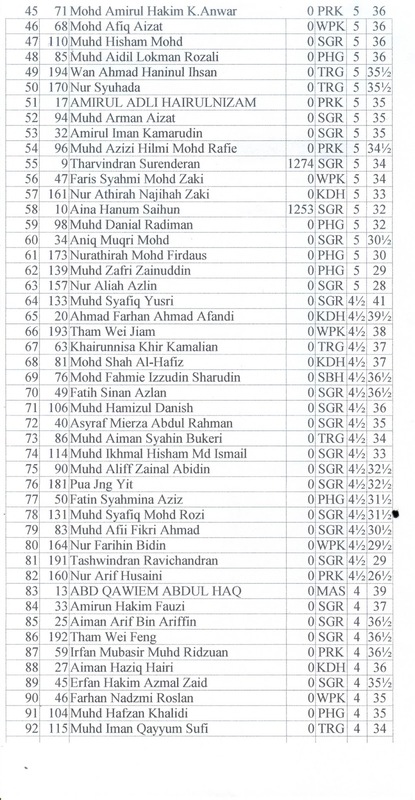 As GiLoCatur recall, there are only three names who have become the UPSI chess open champions. Ian, IM Mas and Syakir. We will find out the answer after the tournament completes its final round tomorrow. GiLoCatur would like to wish GOOD LUCK and ENJOY THE GAME to all the participants who will take part in the UPSI chess open which first round will start tomorrow morning. Once again, GiLoCatur and family have to miss one of GiLoCatur's local chess tournaments. 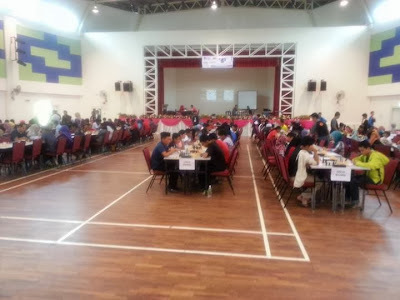 In this blog, GiLoCatur has been writing about the past UPSI chess tournaments quite a lot especially the editions in which GiLoCatur attended. Key in "UPSI chess open" in the Search This Blog field, you will get the list of entries on the tournament. A question comes into GiLoCatur's mind, "Is Ian Udani participating in this year edition?" Why such question? It is because for GiLoCatur, Ian is very synonymous with the tournament. Ian has been very successful in the tournament. Go to this entry to find out. By the way, do you know what edition would be this year? Can you spot the "HERO" in below pictures? It is pretty obvious, right? In what local chess tournament that the "HERO" took part? Anyone can give the answer? Oh, you need a clue? The chess tournament has been held in tradition in the month of October. In fact, for this year edition it will be held on this coming weekend, from 25th to 27th October. Does it help? What is your latest national chess ratings? The above questions is for the Malaysian chess player. 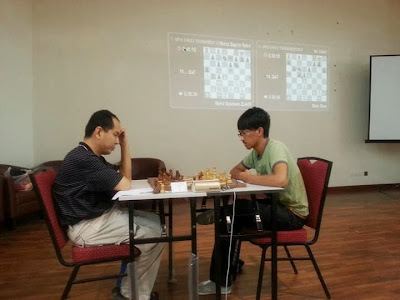 The October or Quarter 3 (Q3) release had been published by the Malaysian rating officer, Lim Tse Pin, in his chess blog (here) several days ago. For the info, 19 chess events had been submitted for the national rating. Please go to Tse Pin's chess blog to find the list of the nationally-rated chess events. In fact, a chess rating ID has also been introduced starting this Q3. It is a 9-Alphanumeric ID. It is something new. BRAVO for the effort. What is your national chess rating ID? 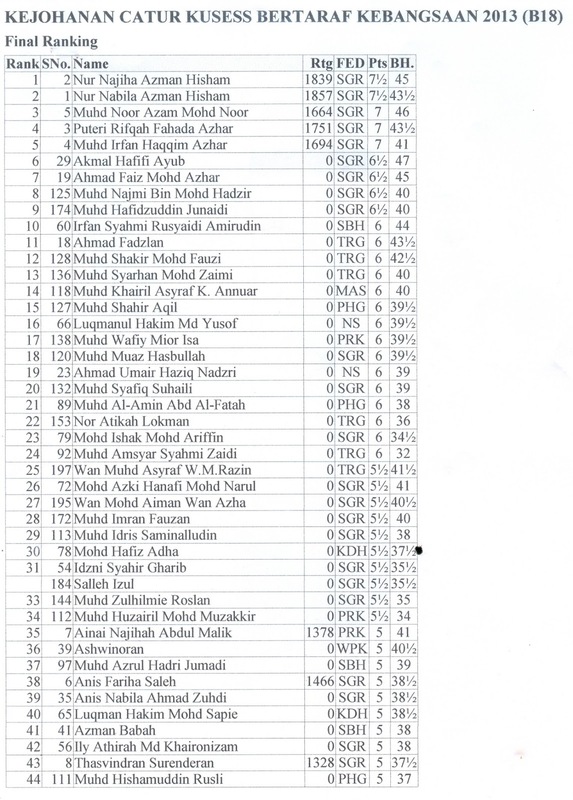 Rating wise, only Fahim's changed. He took part in two nationally-rated local chess tournaments namely KUSESS Team Open and Swensen Age Group. Fortunately, Fahim gained points in both tournaments. He gained 29.4 in the former and 17.4 in the latter. 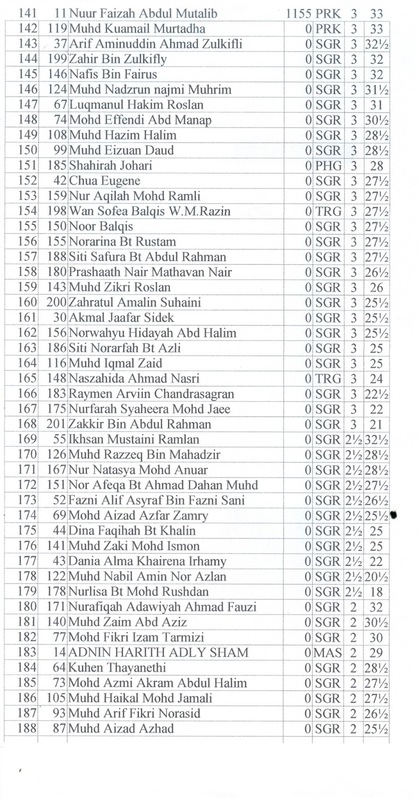 Thus, having accumulated 47 points in total, Fahim's national rating improves from 1482 to 1529. So, what is the national chess rating of GiLoCatur? The answer is 3 more points to 1500. Get it? GiLoCatur hopes to take part in at least one nationally-rated chess event in Quarter 4 and managed to pass the 1500 mark. 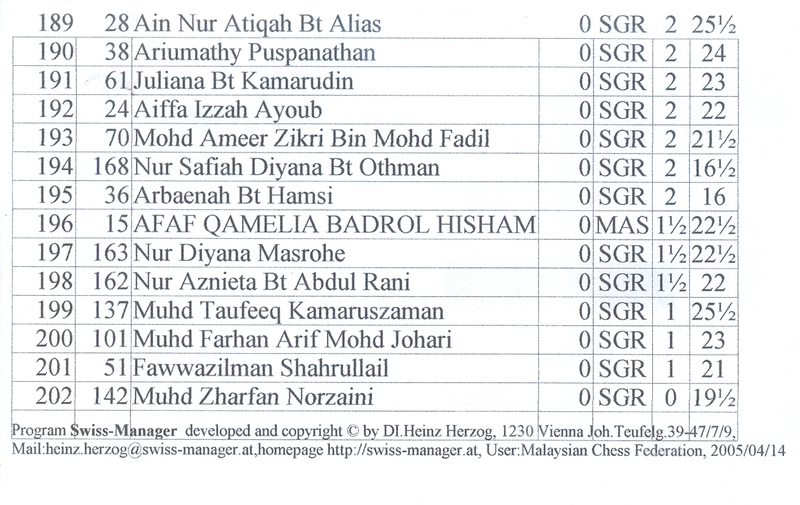 Both Fikri and Anis have not been playing in chess tournaments since the MSSM chess championship. They have big examination this year. As of now, Anis had taken her PMR exam, while Fikri has less than one month for his SPM exam. Fikri is rated at 1624 nationally while his sister, Anis, is rated at 1466. 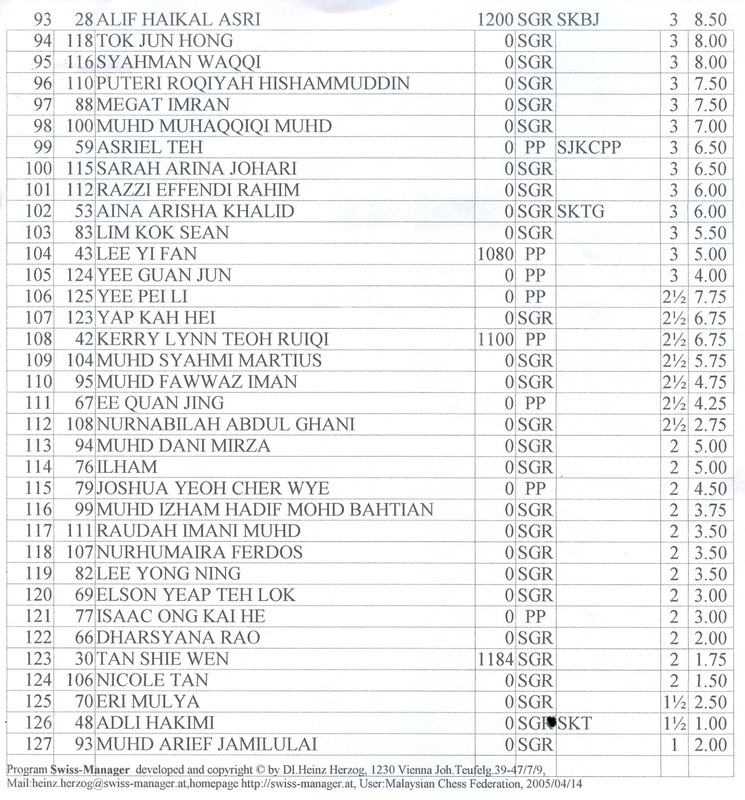 Beside the national chess rating, there is another chess rating being used in Malaysia. It is Cerdik Catur Rating or CCR in acronym. Neither GiLoCatur nor GiLoCatur's children has the CCR. It is because we have yet participate in any CCrated-chess event. 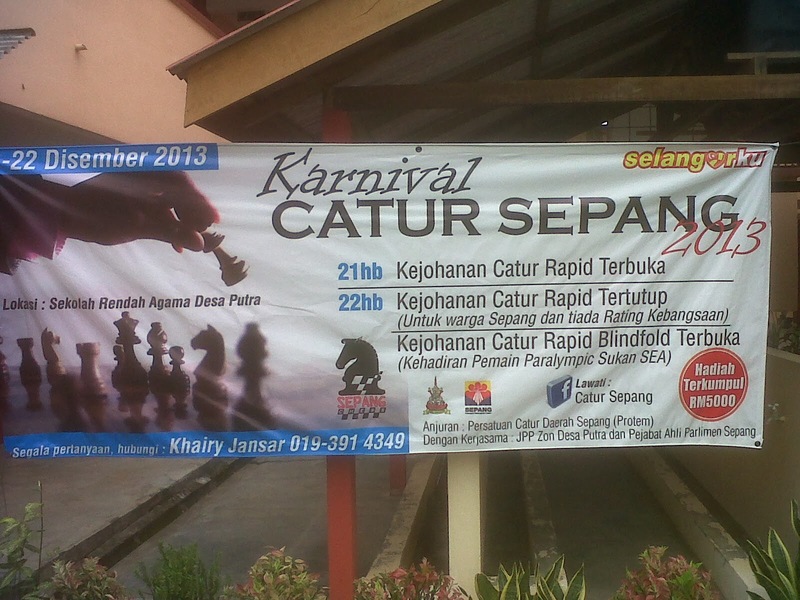 Except Fikri, we will have CCR after taking part in the "Kejohanan Catur Rekreasi Alam Sekitar FRIM" next month. It had been more than two months that GiLoCatur had not been blogging. Hectic life is one of the reasons for not updating this blog. Not being at chess tournament lately is another reason. BUT until now big interest on chess especially on local chess scene is still on. 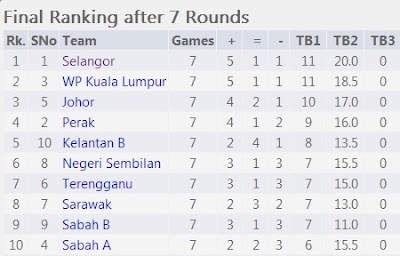 GiLoCatur would like to congratulate the team members of Selangor who emerged champion in the Inter-State Team chess championship being held in Sabah from 12th until 14th September 2013. The Selangor team lives up to its top seed winning five rounds, drawing and losing one round each. The Selangor team is anchored by FM Nicholas Chan. 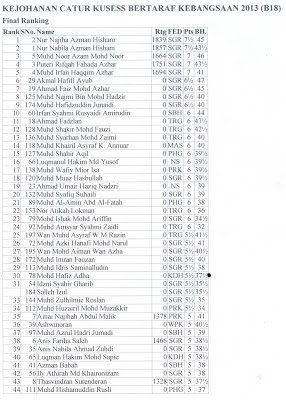 Tarikh tutup penyertaan : 1 JULAI 2013 (Isnin). Tiada pendaftaran diterima selepas tarikh tutup. Faks slip bank berserta Borang Penyertaan ke 03-32896631 (Nyatakan nama dan kategori) dan sahkan melalui telefon 03-32891868. Sila bawa slip bank asal pada hari pertandingan. Bayaran penyertaan tidak boleh dipindahkan atau dipulangkan. Penggunaan telefon bimbit atau sebarang peralatan elektronik semasa pertandingan adalah tidak dibenarkan. Semua pegawai dan peserta mesti berpakaian kemas dan berkasut. The Team event which is only for both secondary (Under 18) and primary schools (Under 12) will be played on Saturday, 6th July 2013 while the Individual event for Open, secondary school and primary school categories will be played on Sunday, 7th July 2013. Each team must be of the same school and may comprise of only boys or girls or mixed. Each team must has FOUR players. 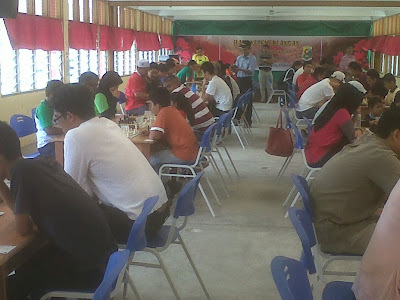 Lately the Residents Association of Kelana Jaya Customs Quarters has been active organizing chess tournaments especially for the Under 12 category. 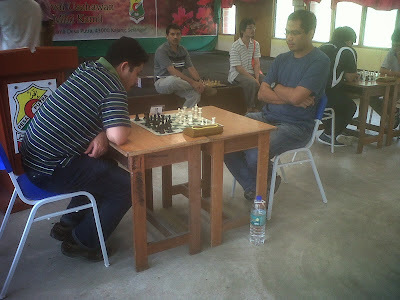 One of the key persons for this to happen is RIZAL A KAMAL, a chess player and a chess coach. Surely, the Malaysian chess community is happy for such effort. Therefore, the community especially the chess parents need to support the tournament by bringing their chess-playing children to take part in the tournaments. On May 19th, the association had organized the Under 12 Customs 1Malaysia Chess Open. Puteri Munajjah had emerged as the champion after five rounds of 30-minute-per-player rapid game. She had edged Yee Jian Yang after winning against him in the fourth round. On June 9th, Munajjah's eldest brother, Muhd Syakir Shazmeer, had been declared as the champion in the Customs' 1Malaysia Chess Open. He won all his six rounds to emerge on the top of nearly forty participants. Another Under 12 Customs 1Malaysis Chess Open tournament will be held on this coming Sunday, 23rd June 2013. Please go to http://rizalschesstrading.blogspot.com/ or https://www.facebook.com/rizal.a.kamal to check the details on the tournament. 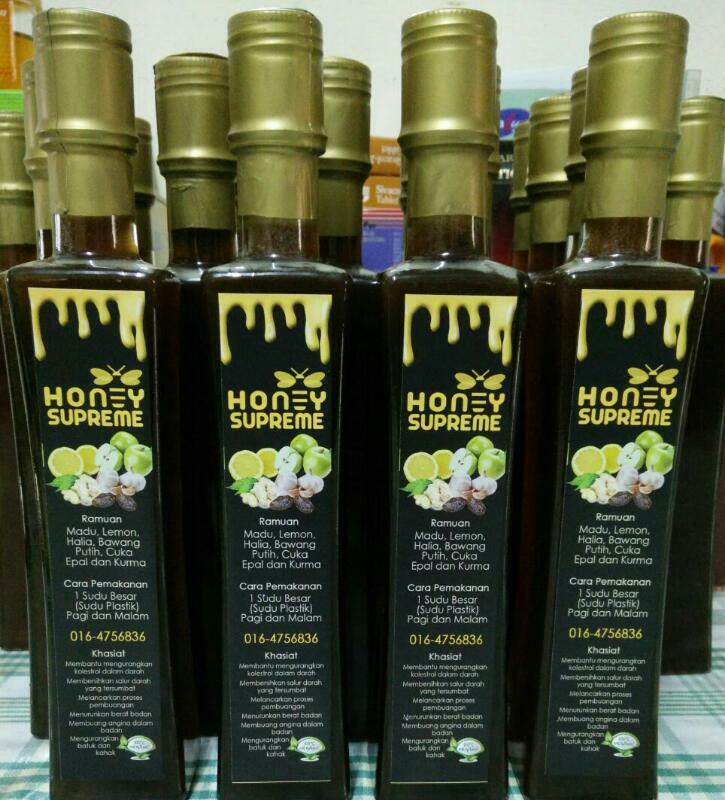 Rizal A Kamal can be contacted or smsed at 019-339 1346. In order for any sports in Malaysia including chess to excel is to have development programs and events being carried out at schools. Therefore, GiLoCatur is very happy to know that the following schools will hold chess tournament in the coming weeks. For further details, please contact (sms better) Cikgu Khor 012-9213138, Cikgu Maimunah 016-9375854 or Cikgu Noreha 017-9099018. Warning! DO NOT CALL THEM DURING SCHOOL PERIOD. Contact them after school. Details will be published later. For further details, please contact (sms better) school office (03 2978 2293) / Pn. 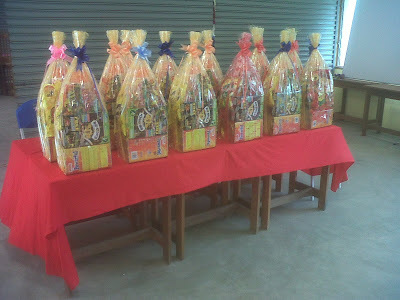 Yong (016 4925 530) / Mr. Sanusi (012 - 6569182). Hey, GiLoCatur is back after had not updated this blog for about six weeks. Where GiLoCatur had been all this while? Two weeks ago, a chess buddy "bbmed" GiLoCatur asking whether GiLoCatur was OK since he had noticed GiLoCatur was not seen in any local chess tournament. Actually, GiLoCatur has been fine all this while. Just has not been into any chess tournament since eight weeks ago. One of the reasons is GiLoCatur's youngest son, Fahim, has been busy with non-chess activities and programs. His elder brother and sister stop participating in any chess tournaments after MSSM chess championship in March because they concentrate with their study and preparation for their respective big exams. Enough with that. And talking about MSSM, no doubt it has its own prestige. Oh sorry, not all are familiar with MSSM right? 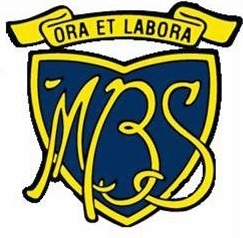 MSSM is a Malay acronym for Malaysian Schools Sport Council. There are more than twenty sports being contested every year at MSSM level. It involves all the schools - both primary and secondary, all over the country. From school going to zone or district, then going to state and finally going to national or MSSM. 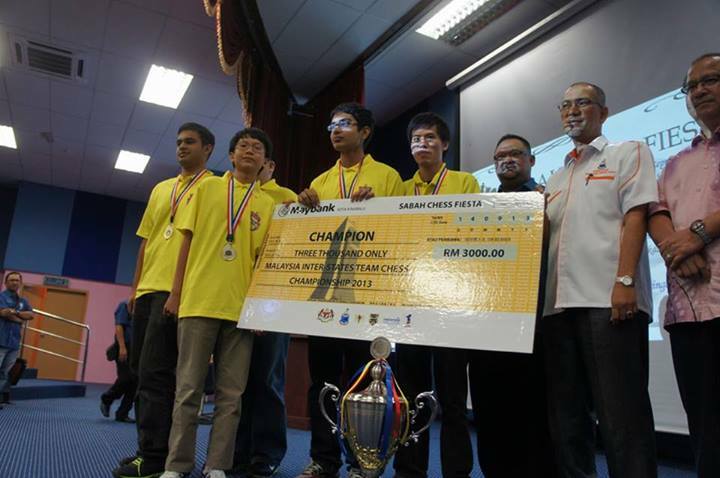 Therefore, the MSSM championship has its prestige even though the prizes are only medals and trophies; NOT monetary. The MSSM championship gathers the best athletes from all over the country. Getting updates and results of the MSSM championship is a frustration for GiLoCatur. There was no one stop center or website for it. Fortunately, GiLoCatur just found it several weeks ago. 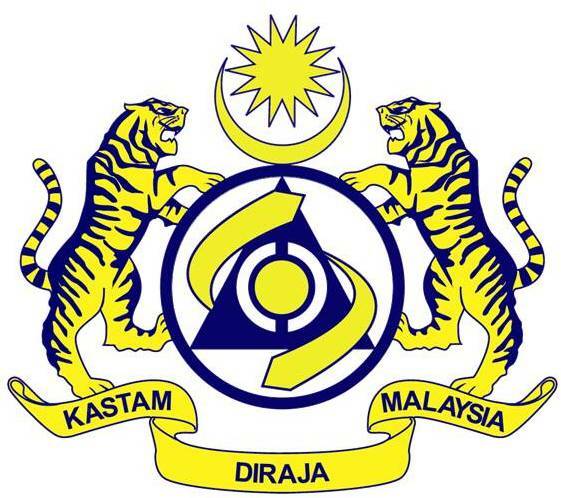 Obviously, the official MSSM website (note: it is OK running on blogspot) had been started since March 2011. For those especially the Malaysian parents who like to know what MSSM is all about, its vision, mission and role, just click here. No doubt MSSM's PTPS aka Pengerusi Teknik & Pembangunan Sukan in Malay or Sports Development & Technical Chairman in English has big roles and responsibilities in the Malaysian sports grass root. 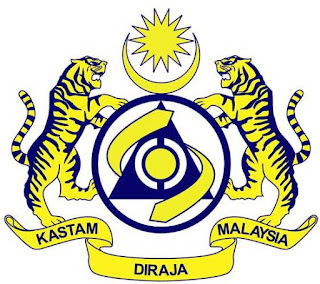 Their duties and responsibilities are spelled out clearly at http://mssmbs.blogspot.com/p/tugas-dan-tanggungjawab-ptps-mssm.html. Its item number 8 and 12 really attract GiLoCatur. 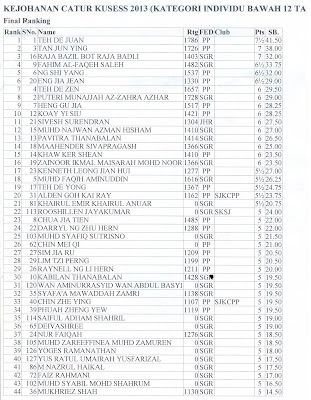 Kudos and Bravo to all MSSM's PTPS who have performed their duties and responsibilities well and diligently. Salute to them! GiLoCatur believes that Malaysian sports can be more successful and advanced if all parties - like athletes, parents, coaches, MSSM, MSN, sports associations and Ministry of Sports play and carry out their respective roles, duties and responsibilities effectively and efficiently. What is happening with Malaysian football? 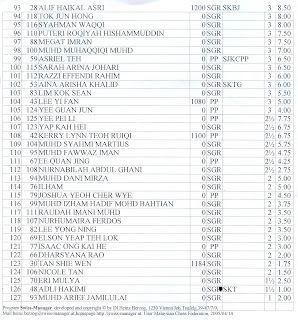 Why our ranking is much much below Japan, Korea and Iran when Malaysia were once if not better, were at same level? When Malaysia will be playing in the World Cup? Why our badminton team were outplayed (humiliated maybe) by Taiwan and Germany in the recent Sudirman Cup at home turf? 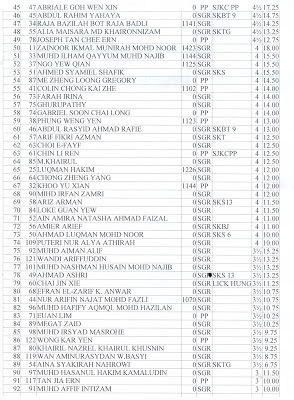 And most importantly, when Malaysia will have its first chess Grandmaster (GM)? Big hope on the new Youth and Sports Minister, YB Khairy Jamaluddin, to bring the Malaysian sports into new heights and excellence. 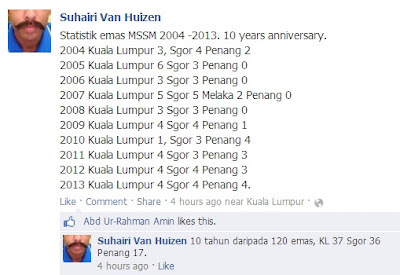 About four hours ago, Cikgu Suhairi published below in his fb. 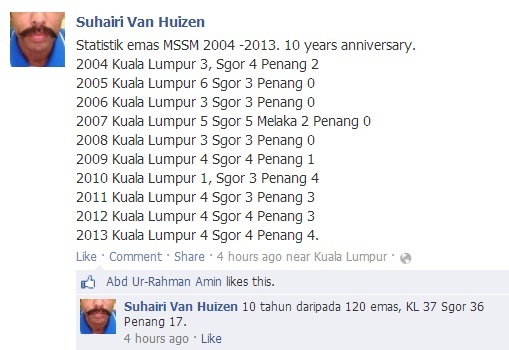 It is a Gold Medal statistics for MSSM Chess Championship won by MSSKL and its two main state competitors - MSS Selangor and MSS Pulau Pinang in the past ten years. 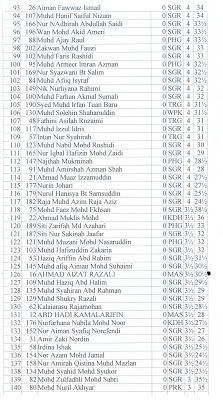 For MSSM Chess Championship, twelve (12) Gold medals are to be won by each participating state. Six (6) in the individual event and another six (6) in the team event. GiLoCatur had been at the championship since 2009 edition held in Klang, Selangor. 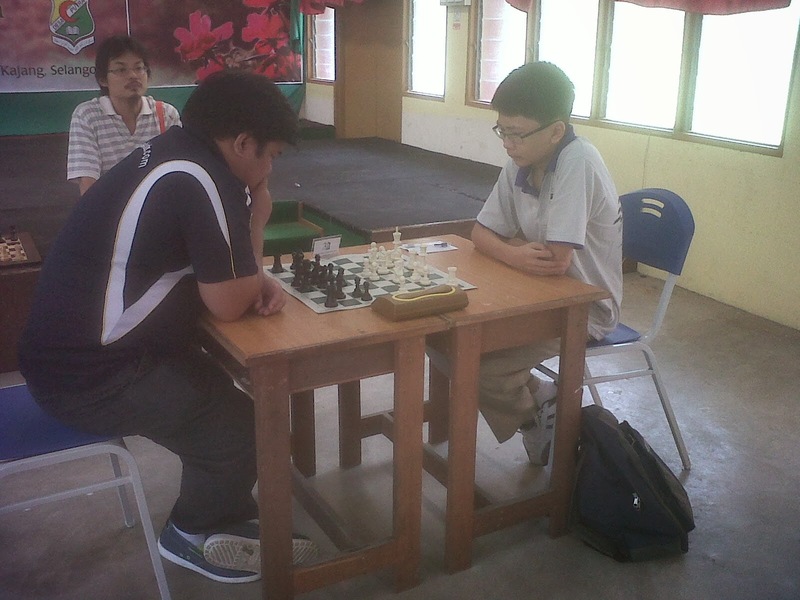 Thus, in the past ten years GiLoCatur was at five editions of the MSSM chess championship. In this year edition held last March in Taiping, Perak, the three states - KL, Selangor and Pulau Pinang won four (4) Gold medals each not giving other state to win the Gold medal. In the past three years (2011-2013), the three states dominated the championship by winning a whopping 33/36 Gold medals. The best record for MSSKL was in 2005 winning six (6) Gold medals, while the worst record was in 2010 winning only one Gold medal. MSS Selangor had won at least three (3) Gold medals every year in the past ten years. It won the most Golds (five) in 2007 edition. Syabas and tahniah to Cikgu Suhairi for leading MSSKL to win the most Gold medals in the MSSM Chess Championship in the past ten years. 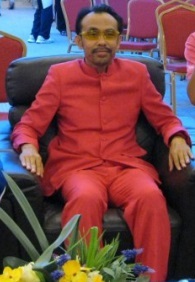 The same goes to Cikgu Sufiah who has led MSS Selangor to win one gold less than MSSKL. It is Saturday, 20th April 2013. If not mistaken, today is the 27th anniversary for one of the Malaysian chess couple or parent, Cikgu Zullkafli and Cikgu Sufiah. Happy Anniversary! And today is also the wedding reception for their eldest child, Cikgu Zarul Shafiq who is also the elder brother of NM Zarul Shazwan and WCM & NWM Dr Nur Shazwani. 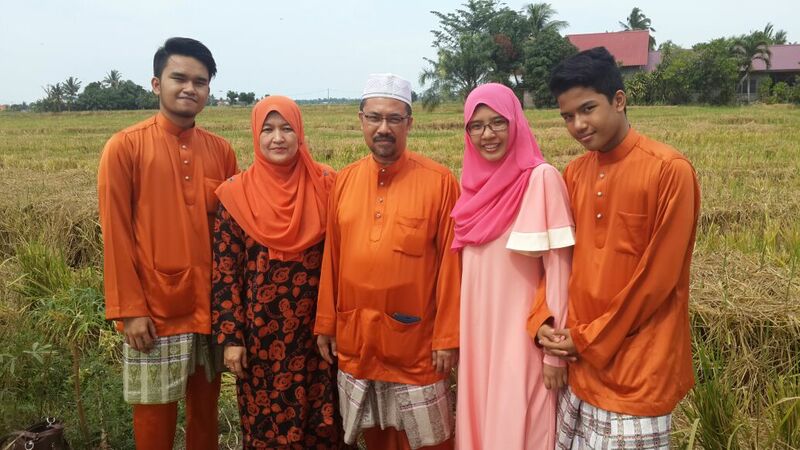 GiLoCatur, wife, Anis and Fahim attended the wedding ceremony held in Bukit Beruntong. Below are some photos taken during the wedding reception. Both GiLoCatur and Anis are very impressed with the theme especially the guest tents and tables. It has the chess elements. As GiLoCatur sees it, the year 2013 is a very meaningful year not only for GiLoCatur and wife but also for both Cikgu Zull and Cikgu Sufi. Besides this reception, InsyaAllah, both of them are being called to perform the Hajj pilgrimge to Makkah this year.